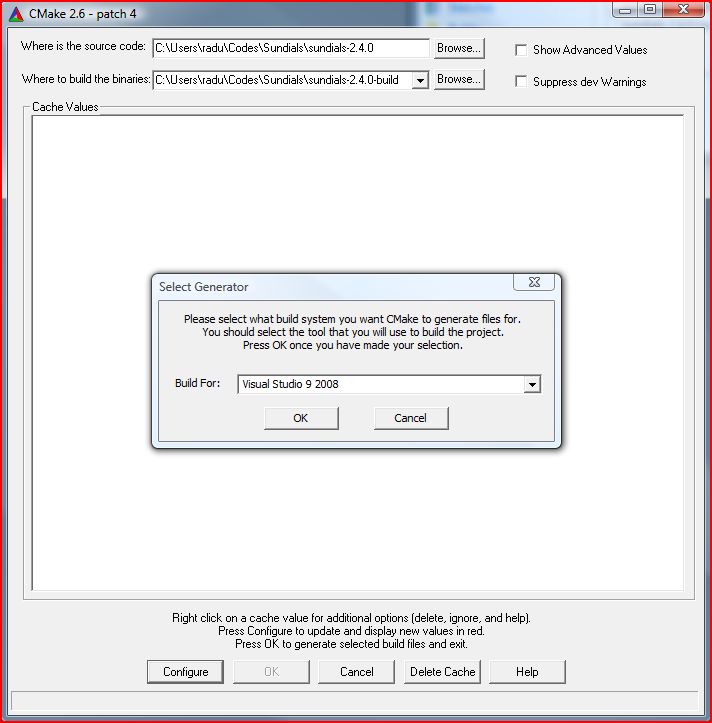 This document provides step-by-step instructions on building and installing the Sundials libraries on a Windows machine using CMake and Visual Studio. 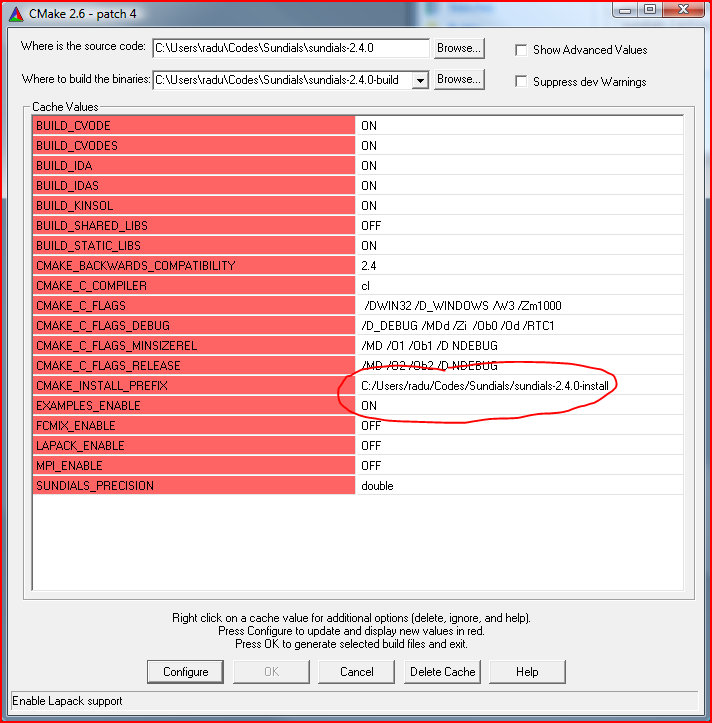 If CMake is not already available on your system, you can obtain it from cmake.org. Both source and binary distributions are available. 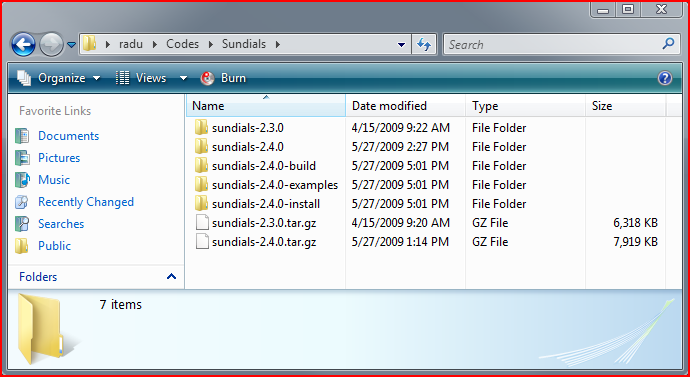 The latest version is 2.6.4, released on May 5, 2009.
sundials-2.4.0-examples: this is the directory where the sources, sample output files, and configuration files for the examples distributed with Sundials will be installed. 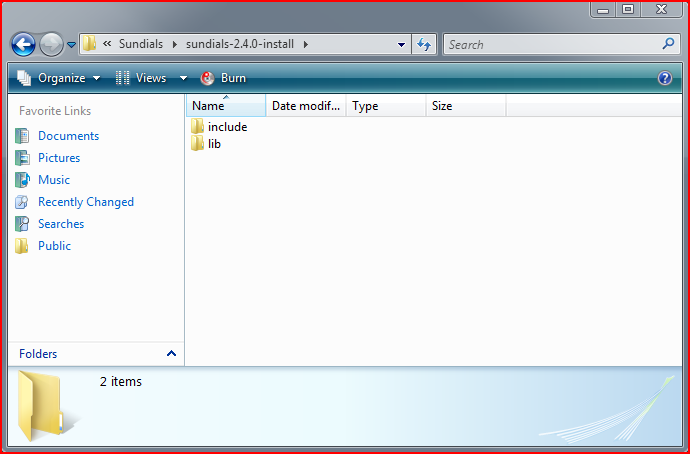 Installing these files is optional; if enabled, the default location is a subdirectory examples/ of the Sundials install directory (i.e. 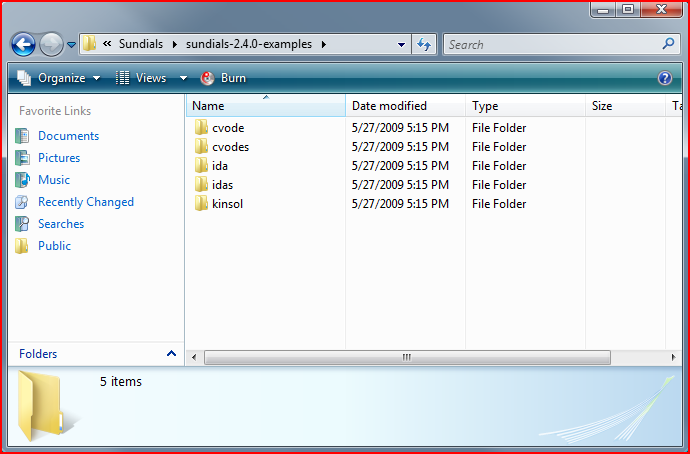 ; sundials-2.4.0/examples/ in our case). 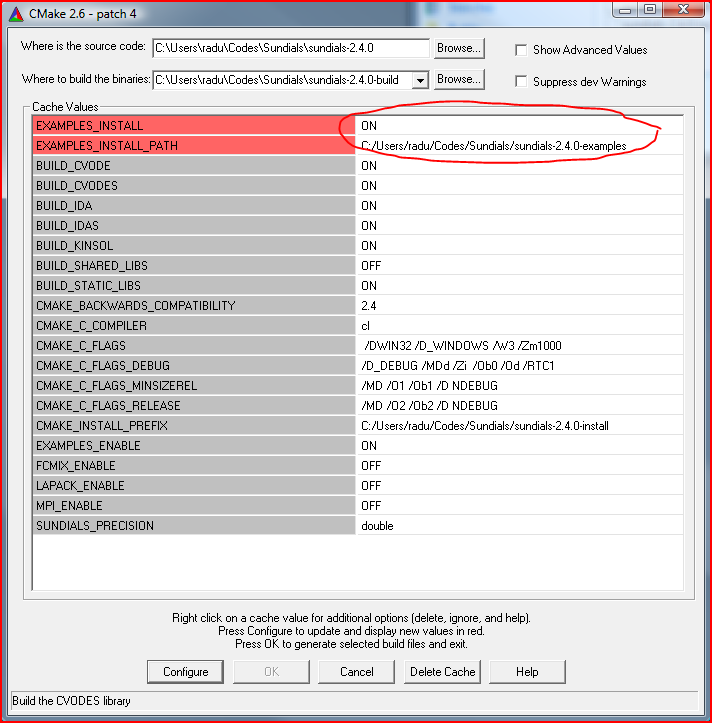 Here however we opt for installing the examples outside the Sundials install tree. 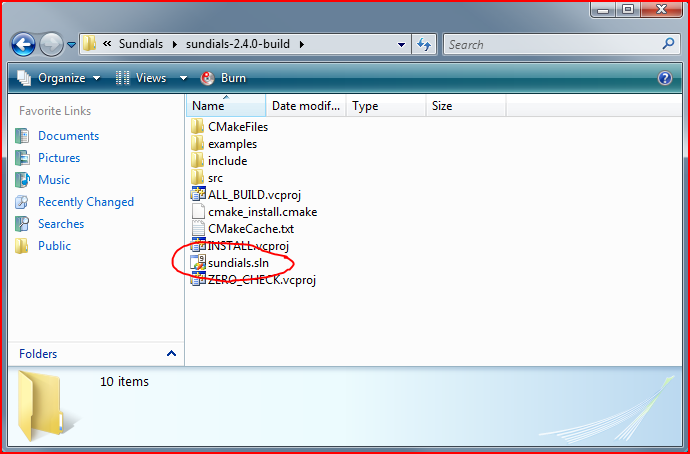 After starting CMake the first step is to specify the location of the source files and the directory where the binaries will be built (the directory sundials-2.4.0-build created above) after which you press the Configure button. You may be prompted to select/confirm the target build system. EXAMPLES_ENABLE which we change to ON, indicating that we also want the examples to be built, in addition to the Sundials libraries. Note that by accepting most of the default option values we will build static libraries for all Sundials solvers with no parallel support and no Lapack support! 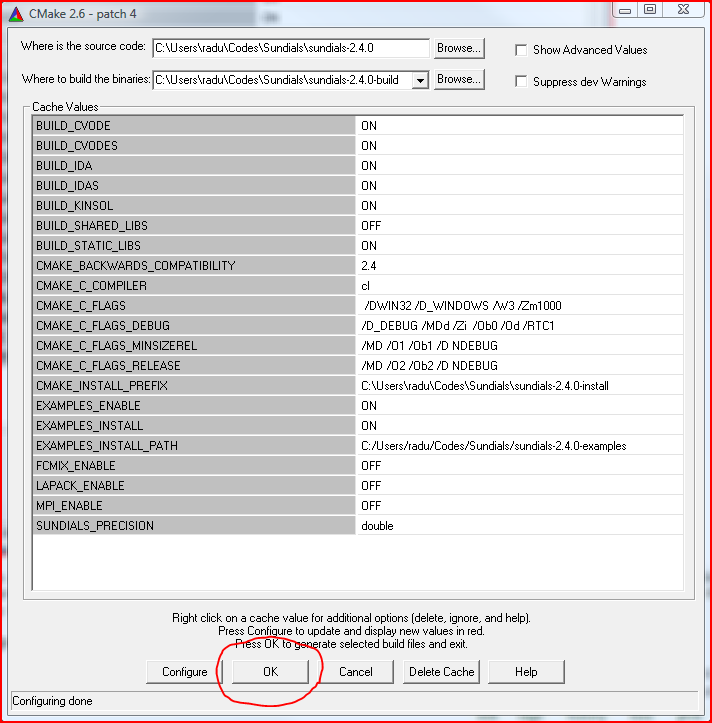 The new options allow us to indicate whether we wish to install the example files or not (note that in the previous step we only indicated that we want them to be compiled and built) and if yes, where they should be installed. In this example, we decide to also install the example files in the directory sundials-2.4.0-example that we created previously. After pressing OK CMake will complete the configuration and quit. INSTALL: building this VS project will build and install the Sundials libraries and examples. 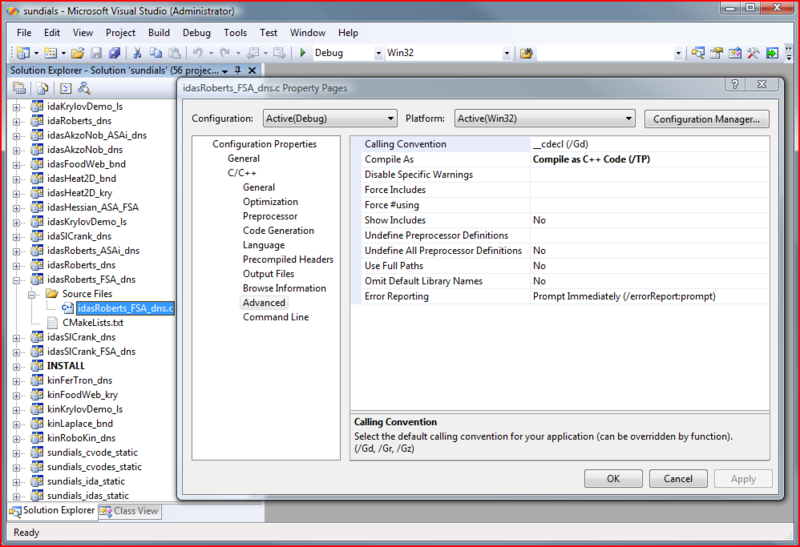 Note: Before actually building Sundials we need to take care of a minor bug: the IDAS example idasRoberts_FSA_dns is not ANSI-C compliant (it contains a variable declaration that is not located at the beginning of the function) and, by default, Visual Studio is quite strict in this regard. 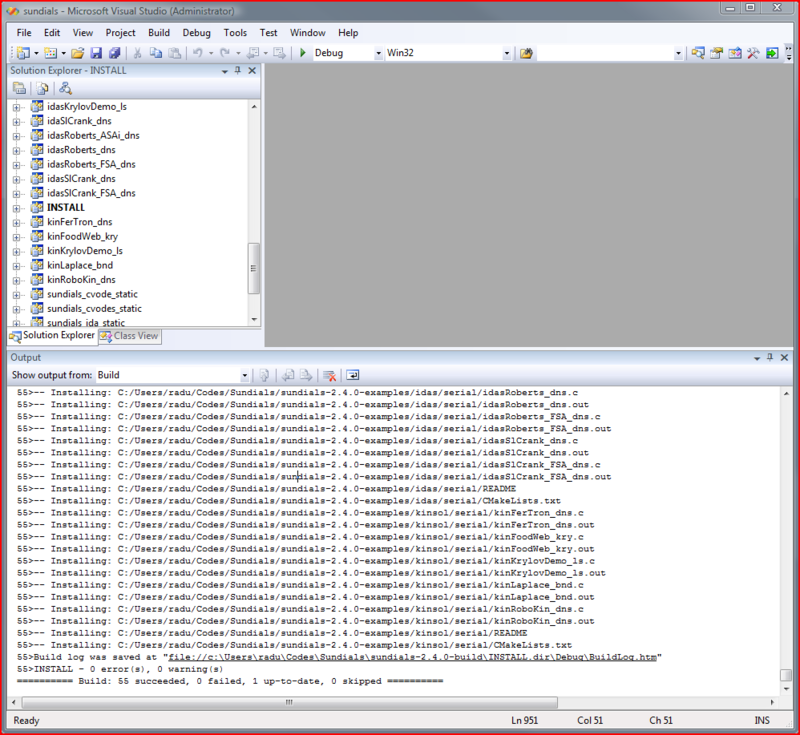 Instead of modifying the source, we opt for setting-up VS to compile this one file as a C++ code (which allows declarations placed anywhere within the code block).